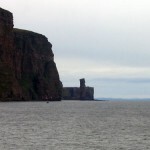 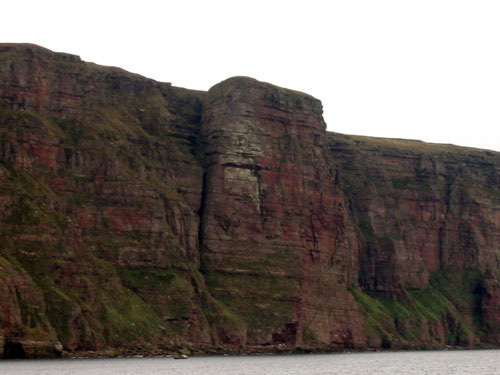 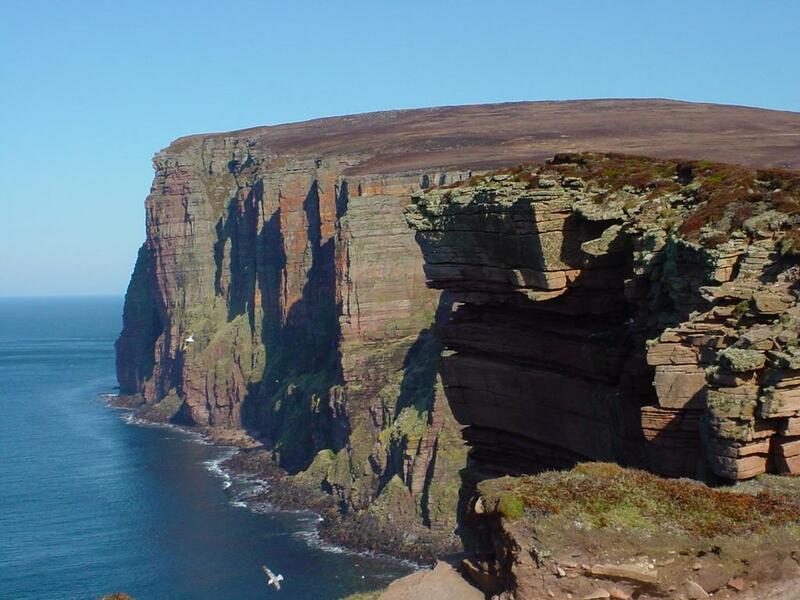 At 1,128 feet (335m) St John’s Head is the highest vertical sea cliff in the UK. 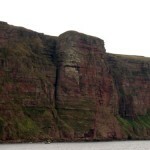 The horizontal beds of sandstone at St John’s Head have weathered to give dramatic vertical red and yellow cliffs, which are especially vibrant with a low evening sun. 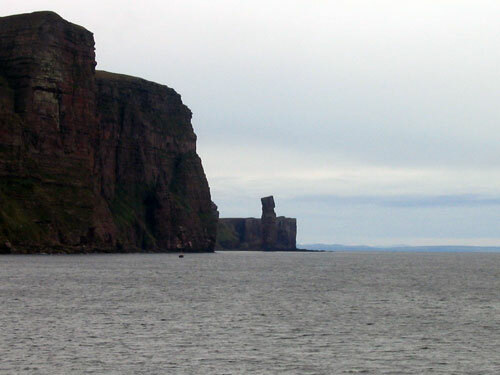 Hoy is a very beautiful island, the photo was taken from a well describe position.